Powered by a 2.9 TFSI V6 bi-turbo engine. 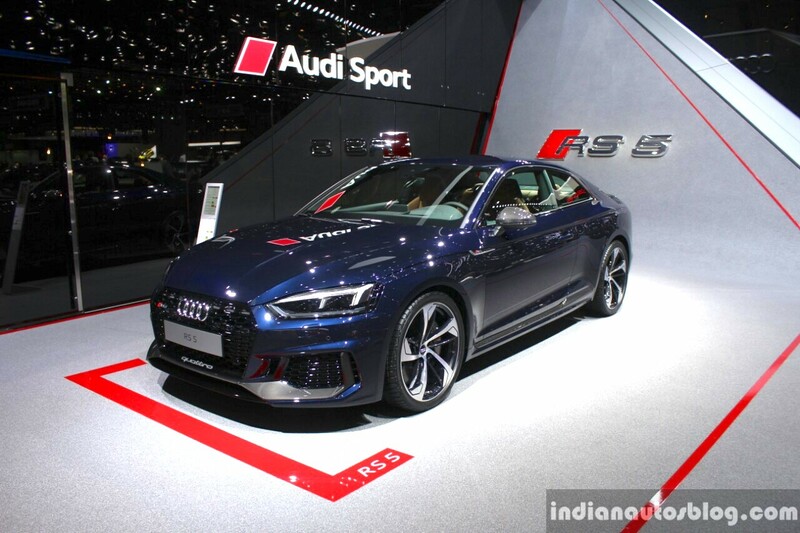 Audi has unveiled the next generation Audi RS5 Coupe at the 2017 Geneva Motor Show, the range-topper of the A5 range. Order books will open in May, with deliveries promised in the summer. The Audi RS5 Coupe borrows design cues from the Audi 90 Quattro IMSA GTO. The front gets massive air inlets with the honeycomb structure while the singleframe radiator grille is much wider and flatter than in the base model. Next to the headlights are additional lateral air intakes and outlets while tinted bezels differentiate the optional Matrix LED headlights. Interiors are in black while the sport seats with RS badging gets optional diamond stitching in Fine Nappa leather and the steering wheel is a flat-bottomed unit. RS logos are also present on the seats, steering wheel, door sill trims and the selector lever. Powering the new Audi RS5 Coupe is a 2.9 TFSI V6 bi-turbo engine which has its turbochargers positioned centrally between the cylinder banks of the engine. Coupled to an 8-speed tiptronic with optimised shift times and quattro permanent all-wheel drive, the engine is capable of producing 450 PS of maximum power and 600 Nm of peak torque. Audi has sold 13,000 units of the first generation Audi RS5 Coupe since 2010. Audi Sport is also offering an exclusive Sonoma Green metallic paint finish for the new Audi RS5 Coupe. Audi RS5 to arrive in India by December 2010?